Between mid-2015 and mid-2016, the international context was characterized by low growth in the world’s largest economies and the downturn in global trade, which had negative repercussions for MERCOSUR member countries. Other factors of uncertainty included the possibility of the United Kingdom leaving the European Union and domestic political problems in the region, particularly in Brazil and Venezuela. Trade was affected by weakened demand from developing countries, including China—the main importer of MERCOSUR commodity exports—and other countries within the region. There was intense deflationary pressure on trade flows, mainly to the commodities sector which makes up a large part of MERCOSUR countries’ export basket. The prices of these goods contracted sharply in 2015 and although this trend was tempered slightly at the start of 2016, the bloc’s macroeconomic situation deteriorated over the course of the year. Trade within the bloc was seriously affected by these reduced activity rates, including a severe, prolonged recession in Brazil. The combined effect of weak global demand and the cooling of the region’s economy created a sort of perfect storm that weakened the bloc’s trade flows both between members and to markets outside the region. There was a widespread contraction of exports and imports of goods in 2015, and although the downturn in exports was less marked in the first half of 2016, imports continued to plummet. This led to an improvement in the current account for the balance of payments, but the underlying dynamic was in keeping with the recessionary factors that pushed down trade and investment. The ongoing downturn in exports is part of a trend that stretches back to 2012, whereas imports began to weaken in 2014, putting pressure on the balance of payments and currency markets. Exports of services had stagnated since 2011 before dropping in 2015. The MERCOSUR’s unfavorable macroeconomic circumstances meant that FDI flows were also meager. Macroeconomic difficulties both inside and outside the bloc and the political turmoil within it were not fertile ground for developing the institutional integration agenda. Paraguay’s pro-tempore presidency in the second half of 2015 began in a context of fierce trade-related tensions which was handled via an initiative to identify trade barriers between MERCOSUR member countries. This conflict came at a time of particular sluggishness in negotiations and a lack of consensus around major unresolved regulatory matters that ranged from trade in services to government procurement. In late 2015, the change of administration in Argentina brought an end to some of the tension around the trade in goods within the bloc. Uruguay’s pro-tempore presidency during the first half of 2016 was mainly characterized by a quest for flexibility in foreign relations. However, these new perspectives have not generated a strategic vision for the bloc, as much of its negotiating energy was taken up by another source of discord, namely Venezuela’s status and its pro-tempore presidency in the second half of 2016, which was eventually covered by the founding members. 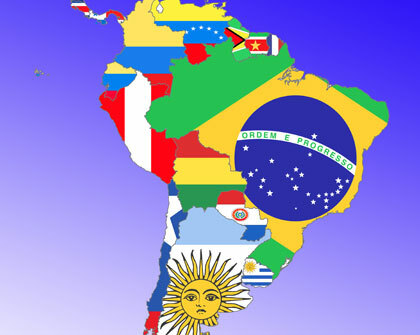 The shortfalls in the institutional development of the MERCOSUR was partially offset by activities around negotiations and bilateral cooperation. In this sense, a four-year agreement on trade in the automotive sector between Argentina and Brazil was a major achievement in bilateral trade. Even though it is not at the core of the MERCOSUR agreement, the trade ties between the two countries are among the most important within the bloc. The timeframe for this agreement is longer than usual, which brings the sector a sense of stability. Similarly, progress in trade facilitation and coordination between the larger economies in the bloc have smoothed the road for trade between countries. Different cooperation initiatives around physical integration, energy, and air and land transportation are also strengthening ties between members. The most noteworthy aspects of MERCOSUR institutional life during the period in question was an incipient shift in the bloc’s orientation toward the rest of the world. After many years in which, for a range of reasons, the foreign agenda had been placed on the backburner, various such initiatives emerged in the first half of 2016. Indeed, the pro-temporary presidencies of Paraguay and Uruguay placed particular emphasis on the MERCOSUR’s foreign agenda, which was well received by Argentina. After long delays in negotiations, there was a new exchange of offers between the MERCOSUR and the European Union in May 2016. At the same time, there were small advances in the process of rapprochement with the Pacific Alliance, which were reinforced by bilateral negotiations, often around very specific technical issues. The potential for convergence between these two blocs was enhanced by the growing uncertainty around global integration processes (the stagnation of the WTO Doha Round) and negotiations for so-called mega-agreements. The outcome of the referendum on the United Kingdom leaving the European Union and possible shifts in the United States’ global integration strategy following the change of administration there open up a range of possibilities around the future shape that MERCOSUR foreign relations will take. It is thus essential for the bloc to consolidate integration processes within Latin America and the Caribbean and to look at this agenda from a pragmatic, positive, and multifaceted perspective.